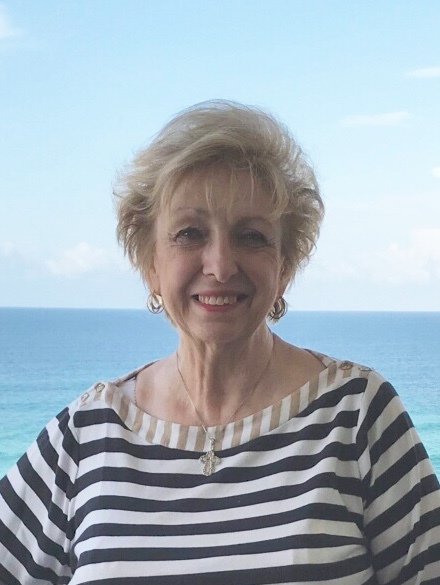 Marianne Lazor Eley, 76, wife of the late Edgar Ronald Eley, died April 11, 2019. Born in Sharon, PA, she was the daughter of the late Peter Lazor and Helen U’Halie Lazor. Mrs. Eley was a Registered Nurse before becoming a full time mother. She enjoyed sewing, scrapbooking, reading books, time spent in Destin, FL and springtime in Athens, GA. Survivors include her five children: Eric (Sharla) Eley, Eileen Eley, Greg (Lisa) Eley, Debi (James) Malone and Chris Eley; siblings: Dan Lazor, Joanie Meanor, Ruth Hinkle and Esther Zrile and seven great grandchildren: Asher, Adelle, Anna, Sophia, Luke, Anna Marie and Jake Eley. A memorial service celebrating Mrs. Eley’s Life will be held Sunday, April 14, 2019 at 4PM at Highland Hills Assisted Living. The family will receive friends from 6 until 8 on Saturday, April 13, 2019 at Lord & Stephens West Chapel. Interment will be held at a later date.